Did you know there are many vinyl window parts? It’s true and if you don’t know what they are, you might be confused when you’re trying to purchase replacement windows. We’re here to help! Below we’ll list what each part does and where it’s found on your window. After reading this article, you’ll be a vinyl window expert. Let’s get started! The window sash is the part of the window that holds the glass together. They can be either operable or inoperable. Within the sash are the window panes. They’re the piece or pieces of glass that are held together by the window sash. 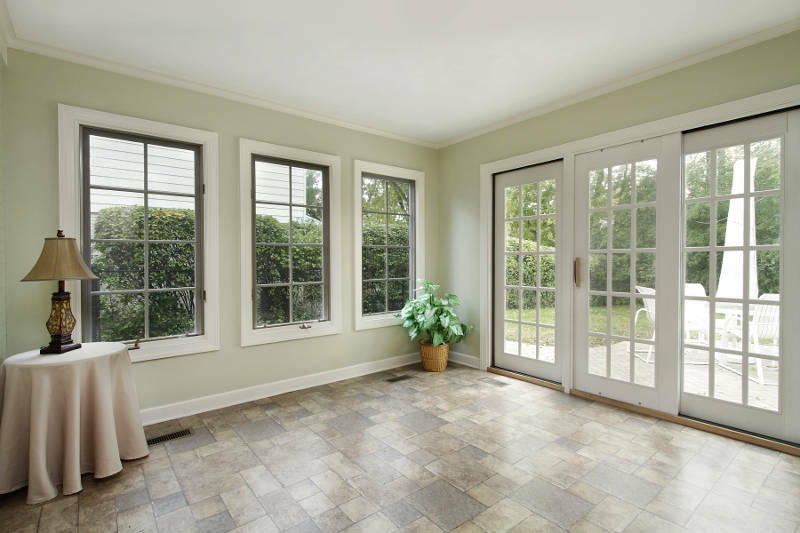 There are single, double or triple pane windows. 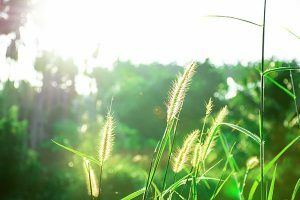 When getting a replacement window, you’ll want the most energy efficient option which are double or triple pane windows. These windows have multiple pieces of glass held together by a spacer. Double and triple pane windows add more layers of insulation which prevent heated or cooled air from escaping your home. Between each pane of glass in your double or triple pane windows is argon gas. Argon gas is much denser than normal air so it moves slower making it difficult for heated or cooled air to pass through the glass. 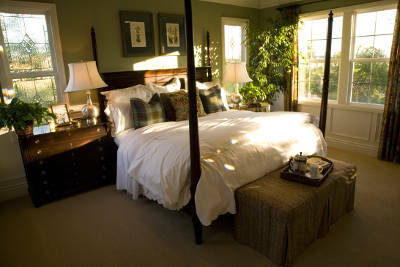 All that means is the windows are more energy efficient and will make your home more comfortable year round. Another way to make your home to be more energy efficient is to get windows that are low-e coated. 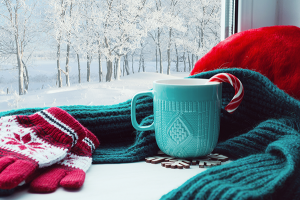 This is a coating found on the surface of your window glass which emits less heat or, in other words, prevents heat from passing through your window panes. In fact, low-e coated windows emit only 4% heat as opposed to 86% of regular windows. Weatherstripping can be found on the bottom and sides of the window sashes. 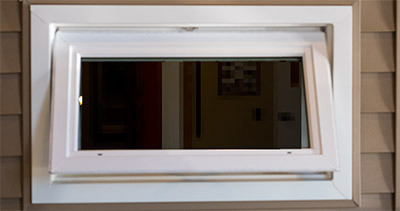 It prevents drafts from sneaking into your home between your window and the frame. As mentioned earlier, each window style has unique parts specific to them. Below we’ll show you each style’s parts and how they affect the operation of the window. As you already know, double hung windows are made up of two operating sashes. These are called the upper and lower sashes. The upper sash is pulled down to open while the lower sash is pushed up. On top of both sashes are tilt latches which allow you to tilt them inwards. This is why double hung windows are so easy to clean – say goodbye to washing second story windows on a ladder. Both sashes have pull rails which are how you open the windows. On the upper sash, the pull rail is on the top while on a lower sash it’s on the bottom. Child safety locks prevent your double hung windows from opening too far. There are safety locks at both 3 and 5 inches so you’ll be able to enjoy fresh air without worrying about pets and children getting out of your home. They’re found on both sides of your window frame. 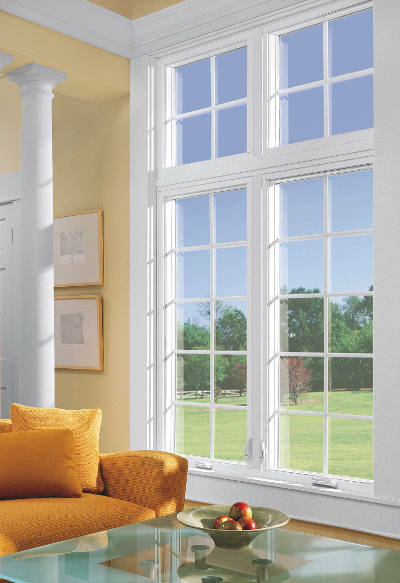 When you shut your double hung windows, the two sashes meet at the meeting rail. This is in the center of the window. There is a lock found on the top of the meeting rail that, when locked, prevents both window sashes from opening. This is called the sash lock. When the sashes meet at the meeting rail, they lock together internally with the mortise inner lock. It prevents drafts from sneaking into your home between the window sashes. The rails of a double hung window are what the sashes travel up and down when they’re opened and closed. Rather than moving up and down like double hung windows, casement windows have hinged sashes. The hinge is on the bottom of the sash and attaches it to the hinge track. 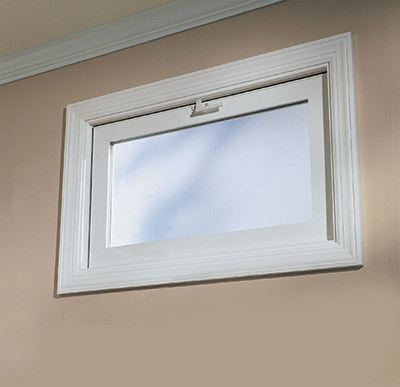 The hinge track is attached to the frame and allows your casement window to open outwards. The operating arm is attached to the sash bracket while the straight arm is attached to the track shoe. The operating arm bends outward as the window opens and the straight arm slides down the track shoe. These four vinyl window parts work together to open and close the window. All of these parts move and work together when you start turning the hand crank. It’s found on the bottom part of your window’s frame on the inside. The hand crank gives you complete control over how much you want your window opened. Feldco casement windows have a hand crank that folds into the frame to prevent snagging on clothes or window treatments. The lock of a casement window can be found on the side of the window it opens from. It’s a large tab that you lift up to unlock your window and push down to lock it. Sliding windows, much like double hung windows, have two sashes. Either one or both of them can be operating sashes. The operating sashes on a sliding window move left and right on a sliding track. If you have a sash that doesn’t open, it’s called a fixed sash. Also, there are child safety locks at 3 and 5 inches on sliding windows. They prevent the window from opening too far which is perfect for homes with small children and pets. The rails are what the sliding window travels down when it’s opened and closed. You can lock a sliding window with the sash lock. It’s found on the side of your window and prevents it from opening. The two window sashes meet at the meeting rail. This is where the sashes lock together internally and prevent drafts from sneaking between the sashes. An awning window opens from the bottom outwards from your home. It’s able to do this thanks to the operating arm. Since the hinges are at the top of the window sash, when the operating arm extends, the window creates an awning effect when it opens. 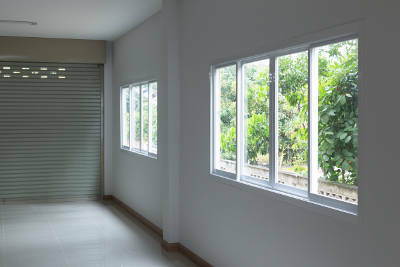 Similar to a casement window, an awning window is opened and closed using a hang crank. This gives you complete control of how much fresh air enters your home. Think of a hopper window as the opposite of an awning window. That means the hinges are located at the bottom and the window opens from the top. 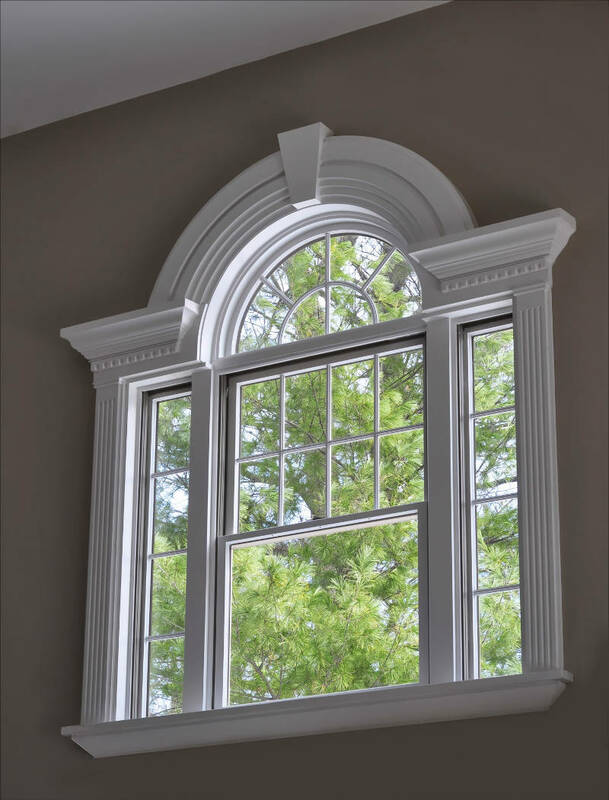 The arms of a hopper window are typically on the sides of the window and allow it to open into your home. A hopper window is both opened and locked using the locking handle. 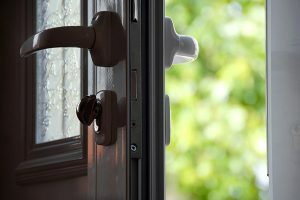 To open your window, pull the handle out of the lock and towards you – it’s very easy to use. We’re not done yet! 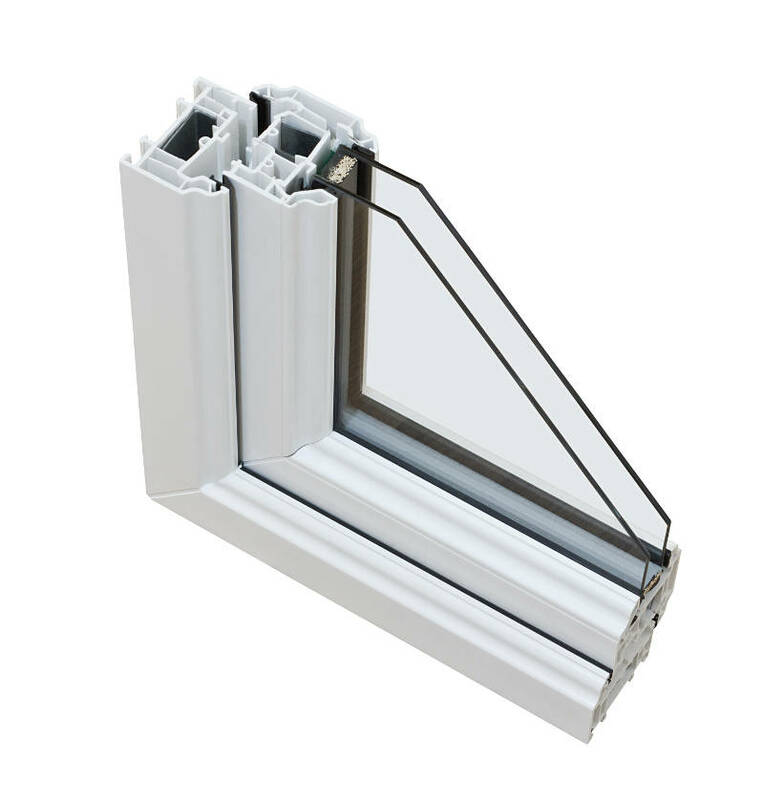 The window frame also has several parts you should know as well. Casing is the decorative trim around the window. The top of the window frame is called the head while the sides are called the jambs. The bottom of the window frame is known as the sill. The stool is the board that runs perpendicular to the rest of your window – it creates a little ledge at the bottom. Jamb liners are installed on both sides of the window and provide a snug fit for the window sash. The decorative board that’s installed to the bottom of the window is called the apron. Grids are patterns that are installed between the panes of glass. They’ll make your window look beautiful. It’s important to know the different vinyl window parts. 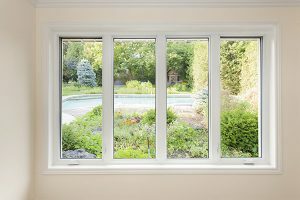 When searching for replacement windows, you won’t get confused by terminology and you’ll know how each part effects the performance of your window. When it’s time to replace your vinyl windows, don’t hesitate to get a free quote online from Feldco. Our product specialists will walk you through the window installation process and find the perfect replacement windows for your home.